Ackerman is generalising and knows it. He wants to skip past instances of particular schools in particular places and think about why they tend to look as they do: it’s a question that’s often ignored. Does this pattern (i.e. that educational buildings look as they do because in some way they reflect the Establishment’s economic and political nature) still hold – if it ever did? Answering (1) first requires answers to: (a) what is the organizational nature of today’s Establishment? 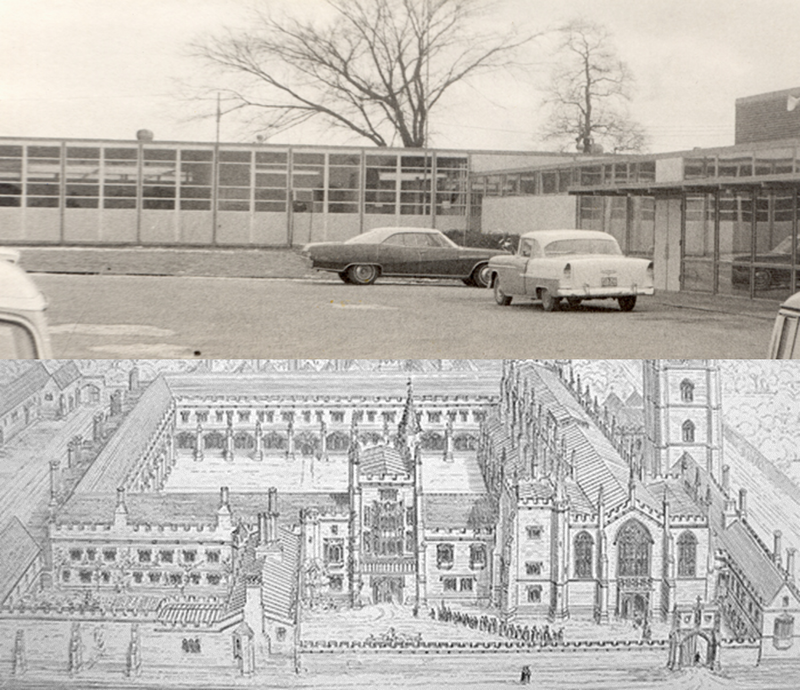 and (b) what do new high schools generally look like today? Clearly there are many possible answers to these and a lot depends on which Establishment we’re talking about so I’m not going to do an Ackerman and will leave the questions floating instead. Ultimately, I think Ackerman provided an interesting line of provocation and that may be more important. If "We're going to build ILEs" is the answer, what was your question? I think Chris’s provocation can help us towards an evaluative space by encouraging us to consider our aims and ends in light of the means employed to achieve those ends: will building ILE’s then help us achieve our aims? Alone? Will other resources be needed, besides ILEs? What will building ILEs not provide? Continuing along these lines brings in some of the most important work to do with school design, namely our values and the sense of educational purpose that we have and how those values and purposes can be translated into buildings themselves. Our interview with Gert Biesta from 2015 is worth looking at if you’re interested in these issues. There’s also a video of Biesta speaking on educational values and purpose recently at the Schools of Tomorrow conference in Berlin (May 2017). “Our intent is to explore the relationship of architectural values to significant human experience and in particular to basic educational goals-to question if and how the physical environment informs and shapes and liberates the human spirit. I’m not sure. My guess is that learning would now be the main focus, that schools would be explored as buildings designed to facilitate learning, and that that “learning” is often a far cry from “the human spirit” that these writers refer to. Previous What Are We Building Schools For Again?